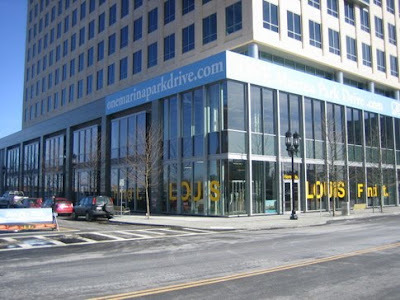 Louis Boston opened its doors at 1 Marina Park Drive on Monday in the Fort Point Channel neighborhood. Despite the store's design clout, I haven't been in much of a rush to check out the new location because 1) I can afford nary a sock in there, and 2) it's incredibly out of the way. Yes, I know Fort Point is up and coming, but it still has a ways to go. Example: the now defunct Achilles Project (RIP), a popular retail/dining hybrid that lived up to all the hype. Louis has a devoted clientele, and I believe it will do just fine in its new home. But it will have to succeed without the foot traffic of Newbury Street. Has anyone seen the new space yet? Thoughts?